Hello dear readers! The weather here is starting to cool down. That means leaves are turning lovely shades of orange and red. 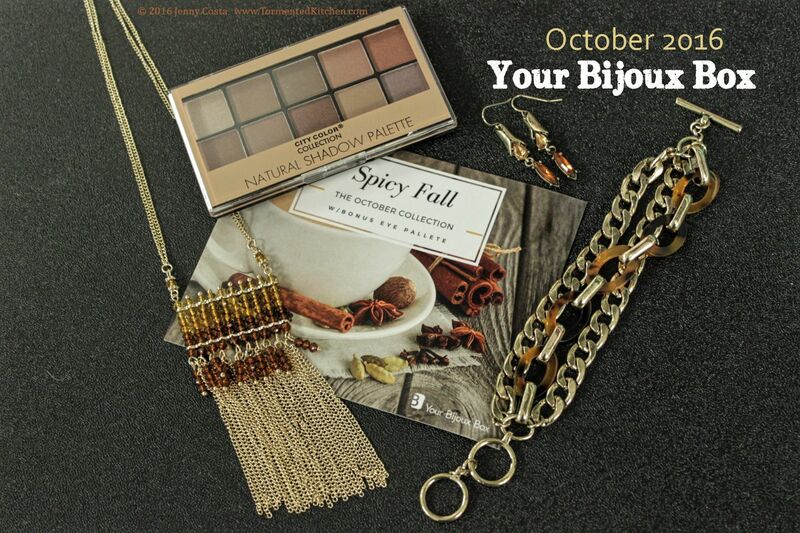 Everywhere you look there is pumpkin spice something or caramel apple flavored goods. 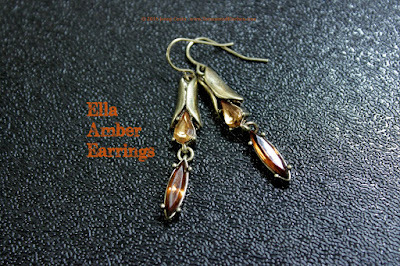 So I have to admit that as soon as I saw this month's gems, I thought of caramel! Your Bijoux Box had a great theme of Spicy Fall, so the colors were all toasty and golden. Another plus is that everything works together so I can take all the goodies from the box and have a complete ensemble, no thought required. There was one sneak peek released right away. 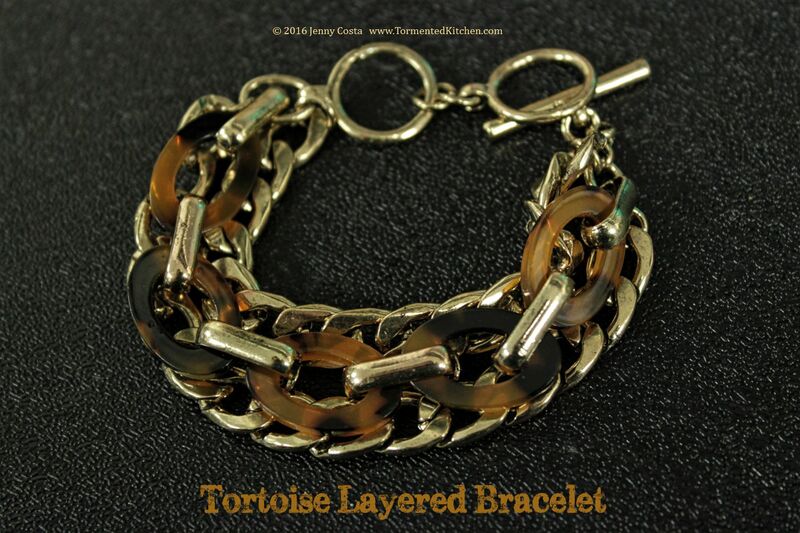 They showed off the Tortoise Layered Bracelet. 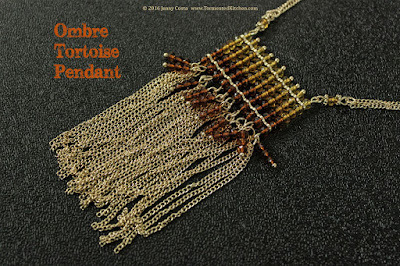 Very nice for Fall and it reminds me of bracelets I've seen from pricier sources. 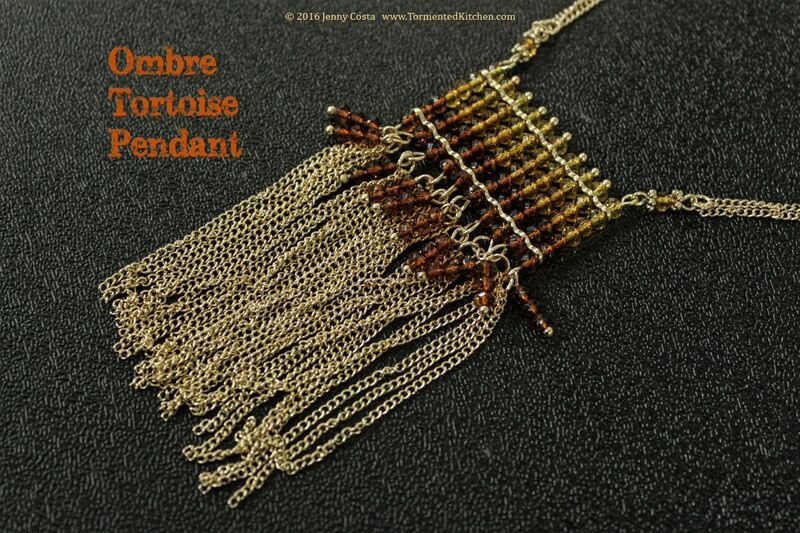 The second sneak peek revealed the long and fringey Ombre Tortoise Pendant. 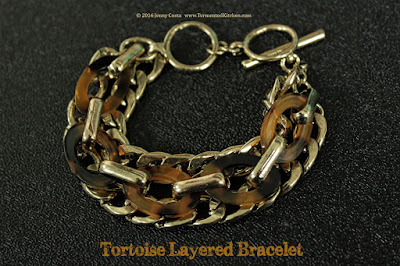 This looks great with my oatmeal cardigan and a sage green tee. 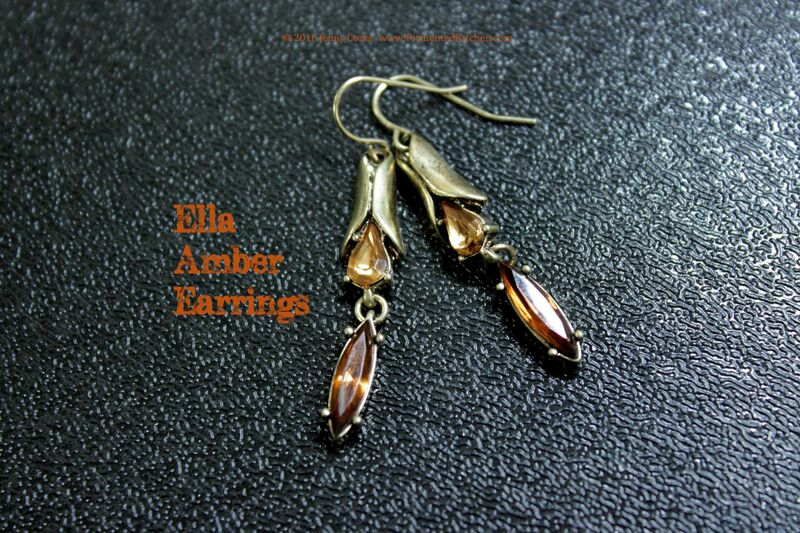 Third, the Ella Amber Earrings are very warm and cozy. They're a good length and bit chunky. 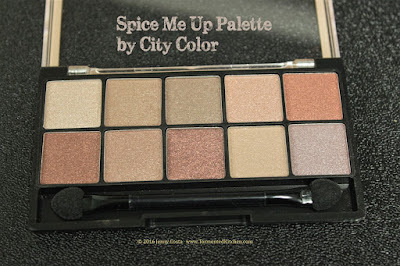 Fourth, there was a makeup item. 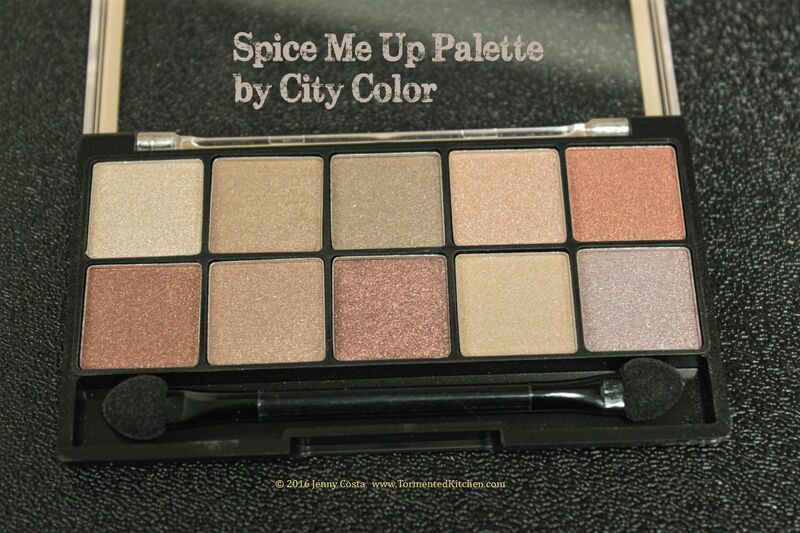 The Spice Me Up eye color palette by City Color was included as well. 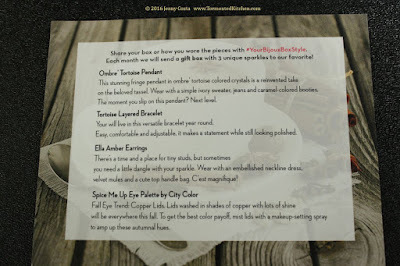 Yes, four items! What a great deal! I am definitely a fan of makeup. 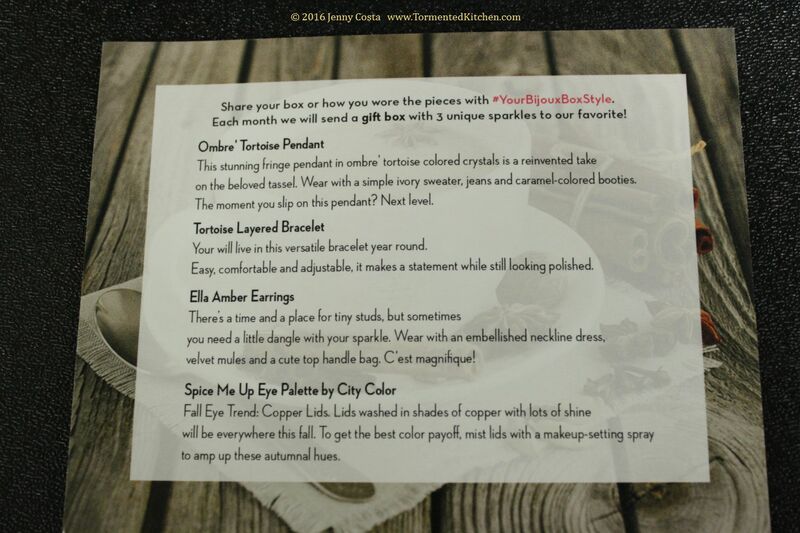 So, another box of great products. They just keep getting better. Thanks for stopping by!